Individuals that hold the LUTCF® designation have completed a program of study that includes 3 separate courses that focus on practice management, life insurance, insurance products, investment products, and risk management. Additionally, individuals must pass end-of-course examinations at the end of each course which test their ability to synthesize complex concepts and apply theoretical concepts to real-life situations. Students study a series of educational manuals and attend physical or virtual classes in order to prepare for three 100 question examinations. Students must score a 70% or better on the three examinations in order to obtain the designation. The National Association of Insurance and Financial Advisors (NAIFA) is the sole owner of the Life Underwriter Training Council Fellow℠ and LUTCF® trademarks. 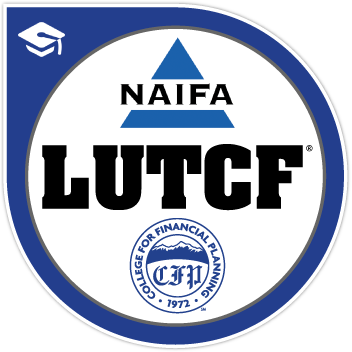 NAIFA and the College (through a sublicense agreement) co-confer authorization to individuals to use the LUTCF® designation. The College for Financial Planning, Inc., is accredited by the Higher Learning Commission (HLC) and is a member of the North Central Association (NCA).The College for Financial Planning, Inc., is accredited by the Higher Learning Commission (HLC) and is a member of the North Central Association (NCA).